As I've mentioned before, our older kids are adopted. 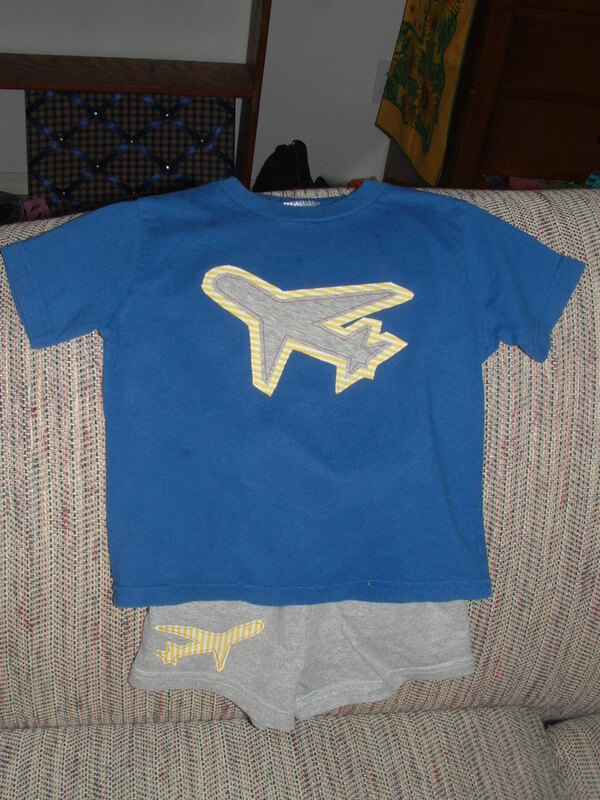 Boy has a brother who just had a birthday, and we're told he loves airplanes, so I whipped this outfit up for him. It was super easy, and I experimented with using contrasting instead of matching thread. I think its worked well. The appliques are made out of scraps from old T-shirts. I thought about having Boy model it for us, but then he's probably never want to give it up...so instead you've got the sofa modelling it. Here's the pattern if you're interested in making your own. The technique is pretty much the same as the double dino applique pattern here. Click here to download or print the Printable Double Jet Plane Applique Pattern. What a cute set, that is a great idea! Nice of you to include the pattern as well, thanks for sharing. This is so cute! 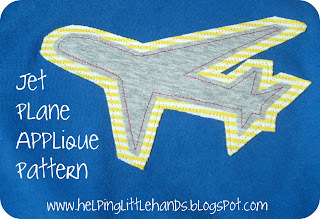 I love your blog, I found your dino tshirt pattern and I am going to make one for my 18 month old! thank you!! Love this Polly! Super trendy. Hi! Love this!. I’d love it if you’d stop by and link up to Tot Tuesdays. Alright, I am SO excited about this! First of all, I love applique's. But my son has an entire airplane nursery and hubby was a pilot. 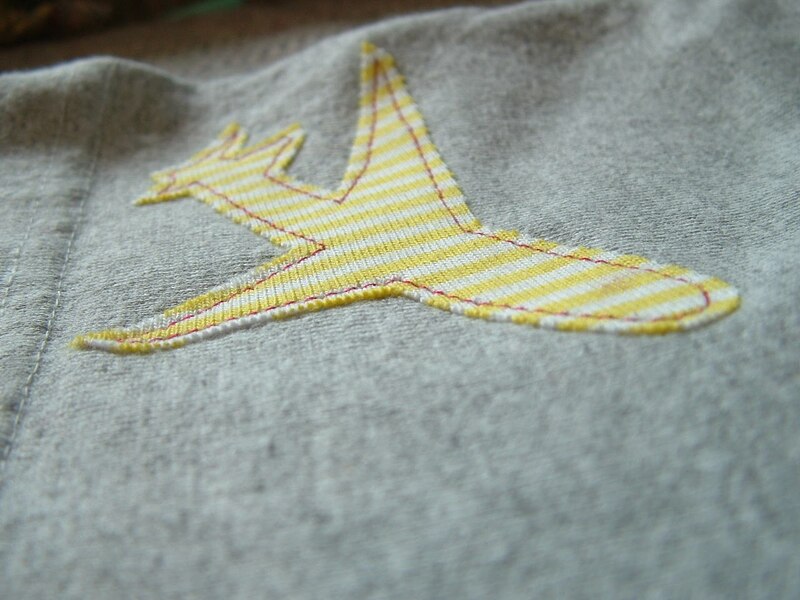 AIrplanes are kind of our thing! I will be making one! Thanks so much!! Also, we are celebrating Baby Week with a link party! Come link up whatever baby ideas you'd like!! Thanks so much! Very cute! I used this on a shirt for my 9 year old and then linked to it on www.larenagibbs73.blogspot.com. Thanks so much! I found it using a Google search, and am now planning to try out your sea turtle appliqué. Thanks again. Christine.